» Digital Timers feature a digital LCD display, and count up or countdown the time with precision accuracy. » Classic Countdown Timers offer a twist knob for simple setup and loud bell ring. 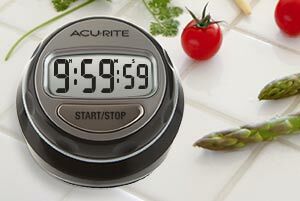 » AcuRite offers the perfect kitchen timer, classroom timer or work timer for all your timekeeping needs.